Outer shell injected special high impact grade of engineering thermoplastic. optically true injected polycarbonate visor duly silicon hard coated for scratch resistance properties. regulated density eps concussion padding lined with specially treated anti allergic velveteen. removable and replaceable liners. quick release chinstrap mechanism for ease of operation & safety. 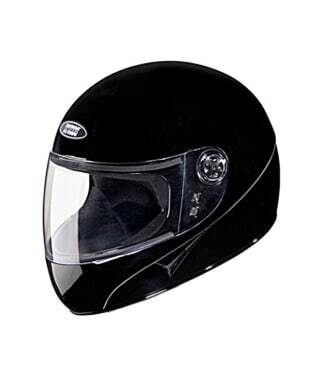 dynamic ventilation system for increased air flow providing more comfort to the rider while driving. available in various graphics options. high quality u.v. resistant polyurethane paints used for aesthetic enhancement. spare visors available in clear, smoke tint, mirror and rainbow options. available in m (570 mm), l (580 mm), and xl (600 mm) sizes.